Try our authentic Scentsy Dryer Disks and make your laundry smell Scentsy clean, just like your home. The Scentsy dryer disks are available in multiple fragrances and usually there will be 10 or 12 fragrances from which to choose, all as shown below. 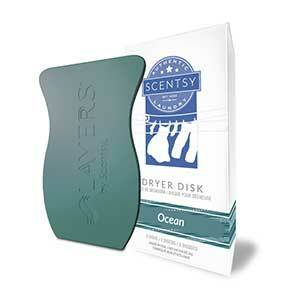 Using Scentsy dryer disks it’s so simple to drop a scented disk in with your clothes and they will come out smelling amazing. Also reducing static, you’ll appreciate being able to reuse the dryer disks many times over. Each pack come with two disks in each box and each will last approximately 15 loads of laundry each. That’s not bad considering the cost is only $7 for each box. Doing the math, that comes out to just $3.50 for 15 wash cycles. We promise, when you feel and smell your clothing after coming out of the dryer, you agree. 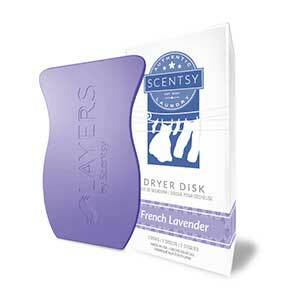 Replace your dryer sheets with Scentsy Dryer Disks and other associated Scentsy Laundry products, also available in multiple fragrances. You can also combine and save to get even more for your money! 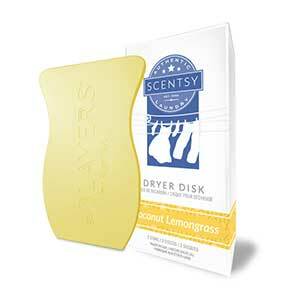 For best results, combine Scentsy dryer disks with other Scentsy laundry products! All are available in multiple aromatic fragrances so you can choose your favorites and enjoy. Oh, don't forget, you can also combine and save to get even more for your money!